Hot Deals – Rokinon 14mm f/2.8 Lens for $249, PowerShot G9 X for $399 at Adorama ! ">Hot Deals – Rokinon 14mm f/2.8 Lens for $249, PowerShot G9 X for $399 at Adorama ! The price for Rokinon 14mm f/2.8 IF ED UMC Lens For Canon EF mount now get $90 off at Adorama. And the price for Canon PowerShot G9 X compact camera also get $130 off. Today Only – Rokinon 14mm f/2.8 IF ED UMC Lens for $249 at B&H Photo ! ">Today Only – Rokinon 14mm f/2.8 IF ED UMC Lens for $249 at B&H Photo ! Update: B&H Photo Video has matched the price. Woot via Amazon US has a great deal on Rokinon 14mm f/2.8 IF ED UMC lens for Canon EF mount. This is a today only deal, and will be expired when sold out. Hot Deal – Rokinon 14mm f/2.8 Lens for $249 at Adorama ! ">Hot Deal – Rokinon 14mm f/2.8 Lens for $249 at Adorama ! 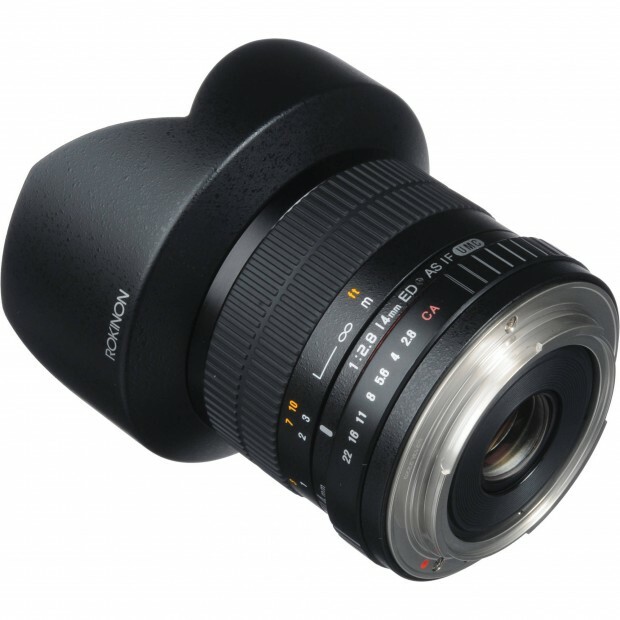 Rokinon USA authorized dealer Adorama via eBay has a great deal for Rokinon 14mm f/2.8 IF ED UMC lens. Available for Canon EF mount. Hot Deal – Rokinon 14mm f/2.8 IF ED MC Lens for $269 ! ">Hot Deal – Rokinon 14mm f/2.8 IF ED MC Lens for $269 ! eBay Authorized dealer Adorama camera has a great deal on Rokinon 14mm f/2.8 lens.